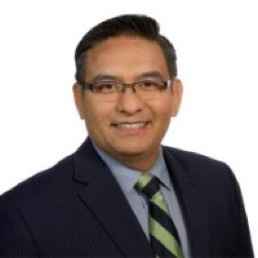 Reporter Saul Garza, a 19-year veteran of D-FW’s Fox4 and a mainstay of the station’s No.1-rated early morning newscasts, has opted to leave the station after declining to sign a new contract. Garza, whose contributions also include the longstanding “What’s Buggin’ You?” consumer troubleshooting feature, told unclebarky.com Monday that he’s turned down a two percent raise and has a new job lined up, which he’ll announce later. Garza, who has a Radio-TV-Film degree from the University of North Texas, initially worked at KRGV-TV in Weslaco, TX. He then became the featured biliingual reporter with Milwaukee’s WDJT-TV. During his long tenure at Fox4, Garza’s also been president of the D-FW chapter of the National Association of Hispanic Journalists.